A month or so ago, I was invited to visit Seminole Brighton Casino in Okeechobee, Florida. 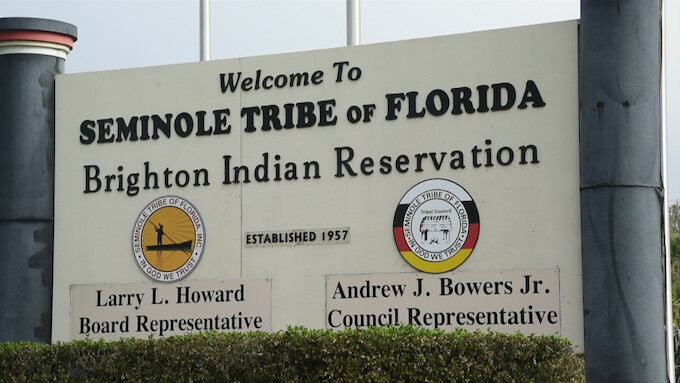 This tribal casino is located on the Seminole Brighton Reservation a bit less than a 3-hour drive south of Orlando, Florida. This was an invitation from close family, as well as family friends. Since it had been a while since I’d seen my dad, I thought it would be a nice opportunity to catch up, as well. So, I made travel arrangements for a 2-day trip this last weekend. I flew in the night before, on Saturday, and left the following evening, just so I could spend a few hours at a casino with family and family friends explaining how to win at their favorite casino. I was particularly looking forward to figuring out how to win in a single casino visit at someplace I had not been before. While I was confident I would be able to do so over several weeks, based on past experience, I was interested in learning if I could perform the same analysis in only a few hours. Spoiler alert: Yes, I was able to do so. I didn’t myself gamble on this trip, although I still consider this a trip report. It’s just my kind of trip report. As I have mentioned in the past, the kind of slots I like to play are high limit slots. But, this isn’t what most people like when they play slots. When it comes time to talk with high limit slots players about how to win at high limit slots, I’m already ready to do so. And, to be frank, to do so endlessly. So, high rollers will be able to get what they need from me as opportunities arise. But what about the so-called low-rollers, or at least those slots players who do not make use of high limit slots rooms? What about them? Well, this article and eventual podcast is about my learning to be as helpful as possible to those low rollers whenever I encounter them. I want to understand their problems, and be prepared to provide useful and clear answers to those concerns. And, with this trip to Seminole Brighton Casino, I have taken a great big step forward in doing so. About a year ago, and then again earlier in 2018, I set up a CafePress merchandise shop for clothing and other items with my Professor Slots. This visit was an opportunity to provide some of these items to family at the usual 100% discount. Again, I wish I could do this for you instead of just for my dad’s birthday. So, I asked my dad, Jon, and his wife, Barb, and their married friends Dave and Lois if there was anything they’d like from the site. They picked out a few things, and I ordered them. I also made sure I had a few soft cover copies of my book Learning to Win: How to Make a Profit at Slot Machine Gambling, which I discussed in the last article and last podcast episode #26. Then, finally, I took along a few of my Professor Slots pens as the third type of gift for these two couples. Finally, I put together a little travel pack for podcasting while on-the-road. This is more about the technical aspects of having a podcast, but something I need to be prepared for in the future. And, apparently, the future is now. My studio setup has a nice microphone on a boom mic stand with a couple of 25-foot cables with an in-line signal amplifier, mixer, and laptop with a backup recording option from the mixer. The podcast travel kit included a cheap but good microphone, a shock mount for the mic, a table-top microphone stand, the backup recorder mentioned above, which was specifically the very nice Zoom H4 recording, and a handy little portable recorder called a Zoom H1. While I did not have time to prepare and record a podcast while on the trip, which was quite okay since I wasn’t sure I’d have time to get to it, I did learn a thing or two about getting it through TSA airport security. As it happens, the TSA asks that any electronics larger than a smart phone be placed in a separate container. So, when leaving from the Cincinnati/Northern Kentucky airport, for Orlando, Florida, I first learned they had to be removed. As instructed by the TSA, I removed the recorder, microphone in it shock mount, Zoom H5 recorder, and the tiny Zoom H1 recorder. Those got through security just fine. But, not so the table-top microphone stand. Well, to be specific, the tabletop microphone stand made it through TSA at the airport in Cincinnati, When going through x-ray, they pulled out my bag and located it, then appeared to puzzle over it a bit. I mentioned it was just an old mic stand, and they let it go through. Where it didn’t get through TSA was at the Orlando airport on the trip back the next day. They again diverted it during the x-ray screening, but took it upon themselves to pull over their supervisor to ask if they could let it through. He said no, but they offered to have be go back through security after putting it in checked baggage. I declined, because I don’t always check baggage. And, the darn thing was just so heavy anyway. So, I lost my rusted, 20-year-old table-top microphone stand that I never use. I’ll need to get a relatively light replacement. With the microphone shock mount, all I’d really need was just a handle or handgrip connected to the shock mount. So, lesson learned! Also on the trip, I make sure I reviewed by article on Florida Slot Machine Casino Gambling which I had originally published back on August 10, 2017. Yes, it had been awhile since I’d written it, and needed a bit of a refresher. If you go read it yourself, you’ll find the article mentions Seminole Brighton Casino as one of seven Seminole casinos in Florida. Because it is a tribal casino in the state of Florida, the gaming regulations for it are included in a state-tribal compact rather than having state gaming regulations like those for non-tribal casinos. This was a good reminder, that it was a tribal casino. 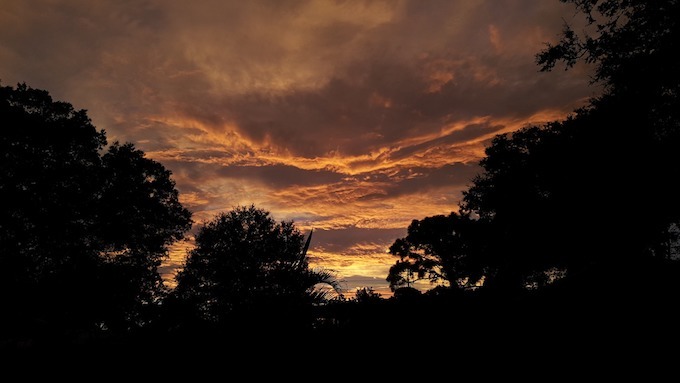 What this mostly mean was that I would have a long drive ahead of me, once I landed at the Orlando airport, because many American Indian tribal casinos are often located in somewhat isolated, relatively hard-to-reach tracks of land. Having already researched Florida casinos last August, there was very little additional research to perform. I can imagine this not being the case for other, future casino trip reports where I have not yet completed that state’s slot machine casino gambling article. There will also be other casino trip reports where the trip research will be somewhat more unique, which is for international casinos. I have tentative plans to someday visit Caesars Windsor, across the border from Detroit as well as tentative plans to travel across parts of Europe later this year with my daughter and her family. Might I see a casino on that trip with my daughter? I think I just might! 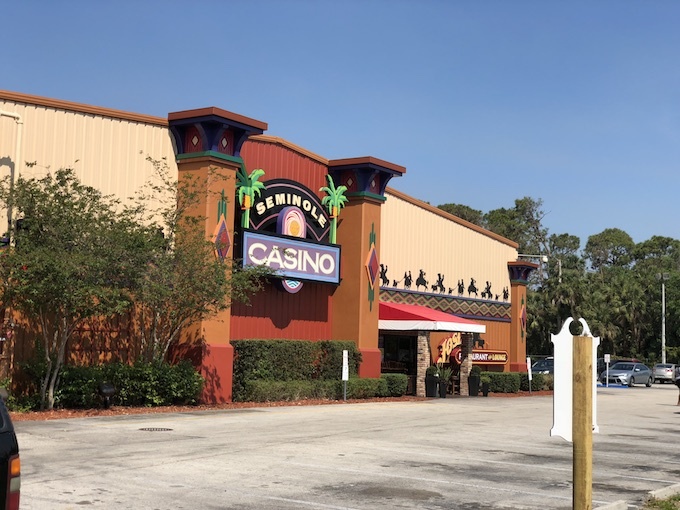 The on-site casino assessment of Seminole Brighton Casino was not the same type of assessment as I have suggested you perform at your local casinos or casinos you’re considering visiting. Why? Because that would have been my own assessment of the casino, but not the assessment as performed by the family and friends I was visiting. 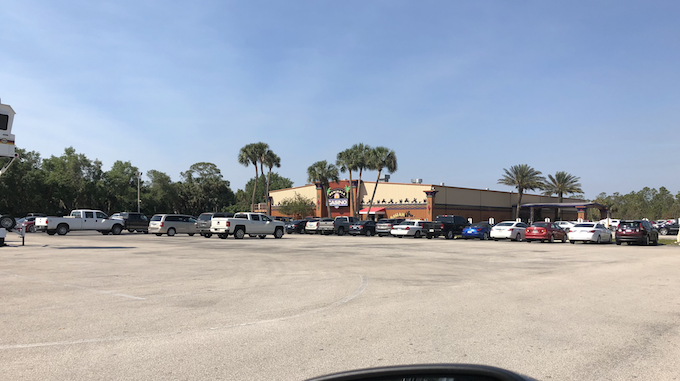 The need for using my casino assessment checklist was made completely irrelevant for this trip with a simple, first question: Is there any other casino in Florida that is within driving distance? The answer? No, they said, there was not. In fact, Seminole Brighton Casino was a whole 2 hours away, as it was. Without another casino option, at least at this time for that section of Florida, there was no point in going through my casino assessment checklist. Maybe it would be needed for them when they returned home for the summer to Michigan and Ontario, Canada, but not for them as snow birds in central Florida. Otherwise, what was important about Seminole Brighton Casino? Well, was it an older- or newer-style casino? Knowing that would be necessary for deciding which winning strategies to try. As it happens, as I’ve mentioned, the easiest way to tell the difference is to look at the players card interface area on any slot machine in the casino. If the players card interface area has push buttons and red or yellow LED lights spelling out a welcome message with your name, that’s clearly an older-style casino. If it has a touchscreen of any sort, it is a newer-style casino. Seminole Brighton Casino has color touchscreens, and so is a newer-style casino. I should also remind you that I have yet to tell you everything I’ve figured out about how to win at slot machines at newer-style casinos. I have many more podcast episodes and website articles to go before I’ve finished touching on most important topics. After that work is completed, there will also be the additional strategies and ideas I’m continuing to figure out, like my recent article on winning strategies for progressive slots machines. What I am trying to say is, during this casino visit I talked about concepts from both my past content as well as ideas and approaches I’ve yet to tell you. We’ll get there, though. Patience! When I first arrived and was welcomed at the casino, I transferred personal gifts to my family’s car before entering the casino. After a very welcoming meet and greet, we decided as a group to first sit down at a table in the cafeteria to answer a few questions. My first question for them was centered around bankroll size. If I knew what bankroll size each couple tended to work with during their casino trips, I could provide the best guidance possible about the denominations and credits they should be betting. As you may recall, I have previously described how the bankroll you are comfortable spending at a casino should be enough to place 100 to 120 bets. This approach isn’t trying to convince anyone to bring a larger bankroll to a casino. Rather, it’s meant to help choose the appropriate denomination and maximum credits for their choice of bankroll size. My family and family friends told me their typical bankrolls, for which there is no need to share here. Suffice to say, they were both less than what would be needed to place 100 maximum credit bets on the slot machine having the largest denomination available outside of the high limit slots room at Seminole Brighton Casino. Further, one couple had a typical bankroll larger than the other couple. This allowed for different play choices between the couples. 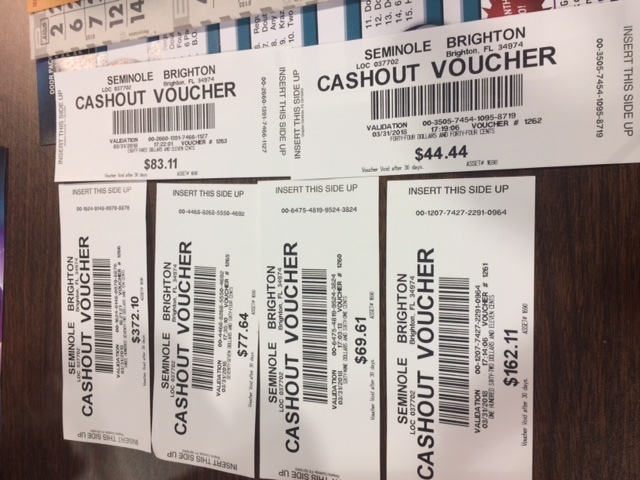 The larger bankroll was sufficient to play most slot machines at Seminole Brighton Casino outside of the high limit room. The smaller bankroll would allow for a relatively smaller selection of those slot machines. Again, the size of the bankroll does not matter. Being comfortably able to spend their chosen bankroll sizes were the only consideration. Having made that happy choice, a second decision could then be made as to which denominations and maximum credits were be most appropriate for that chosen bankroll. For the next little while, my friends and family friends peppered me with questions. Most of the questions were already covered by past articles and podcasts, but they were interesting. One of the main tasks I’ve given myself is to listen to my audience to better understand their needs and concerns. They were certainly interested in asking questions. Sometimes, two people would ask questions at the same time, because they were so interested. They had to take turns. In many ways, that was reassuring to me. When podcasting, I am alone in a room speaking into a microphone. Nobody is speaking back at me, although I might get an response later in the week. It was nice to hear the interest in their voices. For me, it provided further “proof”, as it were, that what I am doing is of interest. If it were not of interest, then all this work of mine would just be a hobby. That would be fine, I guess, but I do have plans to grow. So, after a few questions, they got to something of a crux. They asked their key question: How do we win? Knowing their bankroll amounts, having seen a bit of the casino, I explained that, first, I had a question for them. My question was, would they like me to tell them how to go about winning from scratch, or would they like to tell me their style of play, for which I would provide “tweaks” to adjust their personal approaches so they would win more. I don’t yet know how common this is overall, whether you want to trained or tweaked, but the loudest response was to take what they were already doing and suggest small modifications. So, the next little while was spent asking them how they played so that I could consider how to adjust their play slightly so they would simply end up with more money. I won’t go over everything possible approach I considered. Actually, I take that back. I will go over everything I considered – but I’ll need to do that with article after article, and episode after episode, over the coming years until I will have eventually explained everything. So, there’s that. 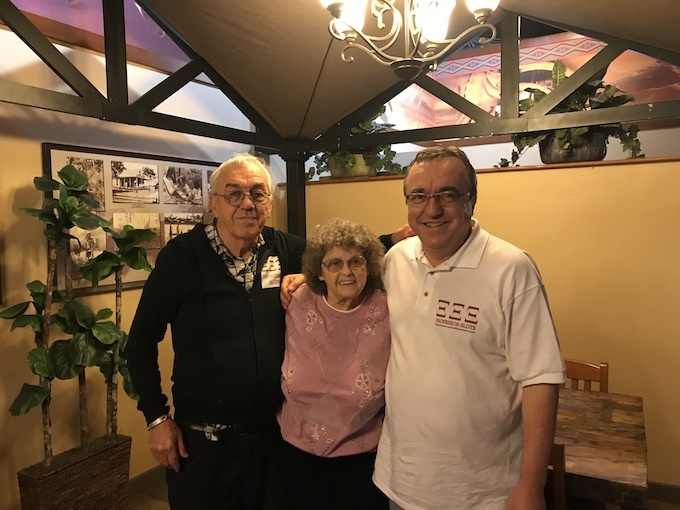 As my family and family friends Dave and Lois explained how they played, I used my pattern recognition abilities to listen for winning strategies. I’m always on the lookout for new winning strategies, but was also keeping in mind the winning strategies I already knew. One portion of their descriptions of play caught my attention. As they had arrived at Seminole Brighton Casino about an hour before I did, they had had a chance to play. The women talked about how they were sitting side-by-side at slot machines when one of them won $200. What I found of particular interest was what happened afterwards. When the winner continued to play the slot machine, they didn’t win anything more for as long as they played that machine. Do this remind you of anything I’ve mentioned before? If you’ve been paying attention, it should. While I did not mention by prior article and podcast episode Winning Strategy I: Only Win Immediately, I did say that one slot machine session gave the appearance of a winning strategy I’d seen before. I told them one $200 jackpot wasn’t a lot to go on, but it might be that the casino had set up slot machines to win in the first few bets, then not have any wins afterwards. Their description was a clue to a possible winning strategy, but it would have to be tested. So, we tested it. Find a slot machine no one is sitting at, or appears as though no one has been sitting at for at least a little while. For example, is the chair pulled out? Put enough money into the slot machine sufficient to make at least 5 bets. Make a maximum of 5 bets, and stop betting if any money whatsoever is won. Cash out of that slot machine. Start again with step #1. A big portion of the job for slot attendants is to push chairs back in towards slot machines. So, the easiest way to know if a slot machine has been played recently is to look to see if the chair has been pulled out, away from the slot machine, as though someone had sat in it. For three slot machines, I sat next to them and reminded them of the above rules. It was a struggle for them to follow these rules I’d tried to trained them to follow, with the first step being abandoned pretty quickly. That was okay, although with practice I hope they realize doing it later would further improve their winnings. Because, in case I haven’t yet mentioned it, the testing of the winning strategy was quite successful. Machine after machine was played, moving from one to the next to the next. At most, 5 bets were placed on a single machine. And, less if something was won. And, win they did. First was the original $200 win they’d explained to me, then a $30 win after betting $2 twice. Then, a $400 win. And so it continued for one of them, with the others watching on. After helping Barb to win, I helped by dad play a bit. He had a harder time stopping playing after 5 bets. With him, I tried to remind him that he’d told me he preferred to play bingo rather than slots. But, he wanted to play slots while I was there, but I could tell slots were a fairly new experience from him. While dad and Barb were playing, I talked with Lois and Dave a lot about how to win at networked progressive slots as well as their favorite games. We also had a good conversation about how the Professor Slots business was going. They had several useful questions, some I had already considered, but others I had not. Thanks to Lois for suggesting I consider protecting my business from individuals that might try to scam others in my name. I have, and explained to her how I had done so. Her husband Dave suggested I update the artwork on my Professor Slots merchandise to include my website. I had been making adjustments, but not yet that one. Both Lois and Dave had those and other very useful suggestions and questions about building and running the business, which I very much appreciated. Thank you, Dave and Lois! Towards the end of my 3-hour visit, we all sat down again to have a late lunch to talk over the trip so far. It wasn’t long before I had to start heading back to the airport, but it was nice they took a break to feed me and see me off. We made tentative future plans, of course. My dad and Barb want me to come visit them during the summer back home in Michigan, or at least meet at their favorite casino there. That would be Soaring Eagle, a tribal casino in Mt. Pleasant. I didn’t tell them so at the time, but I’ve already gone there with my sister … when I figured out which specific slot machine was set up to be a winner at that older-style casino. My family friends also asked me to visit them back at their home later this year. Or, as Lois said, “We’re family now.” Interestingly enough, Lois and Dave live in Ontario, Canada. It’s a great opportunity to get started working on understanding slot machines at international casinos. Doing so is inevitable, assuming successful business grown, and I might as well get started sooner rather than later. I am looking forward to it. It wasn’t until later that I considered what I had not done. Was I helpful enough to Lois and Dave? Should I have spent more time explaining how slot machines worked to my dad? Overall, I think we got a lot done, got enough done, in 3 hours. I really think dad isn’t really into slot machines. Just because he can win at slots now, doesn’t really change the fact that he prefers bingo. Still, he is obviously proud to have a son who is, well, a high roller. Naturally, I’ve stuck to talking about anything slots here, rather than some of the more personal conversations not really relevant to playing slots. My short visit was not all about slots, and it was nice catching up with them in person. I really don’t see them enough these days, but then how much is really enough, anyway? For Lois and Dave, both pilots, I was happy to meet them. They seemed happy to meet me as well, and both found the relatively recent launching of my Professor Slots brand to be quite fascinating. We also talked quite a bit about my day job, and more. Again, that’s not really relevant to winning at slots – except I’m expecting to eventually provide you with a trip report to a Canadian casino. Otherwise, I am happy with having made the trip. I felt I was able to help them with slots gambling at Seminole Brighton Casino. In case you haven’t yet realized it, although you probably have, I didn’t just help them. I’ve also helped you win at Seminole Brighton Casino. Now, I’ll need to be clear about something here. These two couples are Florida snow birds, and this last weekend was their last weekend in Florida for another 6 months. Basically, they had a good last day at the casino before going home now. I only showed them how to win at Seminole Brighton Casino, a newer-style tribal casino located in Florida. How to win at other casinos in Florida or elsewhere will probably be different, especially at older-style casinos. Also, if I place my metaphorical Professor Slots hat firmly on my head, I didn’t actually prove they had found a winning strategy. I am confident they have, but it is remotely possible it was all a fluke or, more technically, that it was short-term statistical variation. So, how would we go about determining if it wasn’t just a rather unlikely series of wins? Well, the answer to that question is data. Data, data, data. Over a longer time period, are they winning more than they were after this visit from Professor Slots? But, at least for dad and Barb, we will never know. We will never know because they don’t keep track of their gambling losses. Even if they get started doing so, and my next article on keeping good gambling records should help, they certainly didn’t before my visit. So, while data may exist after my visit, it can’t be used to compare to data from before my visit because it simply doesn’t exist. While I would prefer to show you data proving this winning strategy works at Seminole Brighton Casino, being a logical, relatively unbiased scientist requires me to say that it only seems like it’s a winning strategy. There is no proof, just feelings. But, dad and Barb, and Lois and Dave have told me they are completely convinced they have learned how to win at Seminole Brighton Casino in Okeechobee, Florida, located about 3 hours south of Orlando. Finally, I had a good trip. My family and family friends had a good time. And, it was apparently helpful in terms of improving their slot machine gambling performance. So, the question now is, what about you? As I grow my audience, as I have mentioned, I will better understand what they want. When my email subscription list reaches 2,000 email addresses, I will send out a survey asking what they’d most like me to do. It will likely be a list, and will include a personal site casino visit for you and any friends. Would you like that? Be aware they this trip to Seminole Brighton Casino fell under the family discount, which was 100% off. All others will have to pay for the service. This is a business, after all. Be warned, that giving you the ability to generate $800 more in winnings per casino visit will not be cheap. Making $800 in average profit at a casino once a month is just over $10,000 per year. So, given that much expected profit, how much do you think I should charge for a visit that allows each person in the group to do that? In summary, I traveled to Seminole Brighton Casino in Okeechobee, Florida, south of Orlando. Over a visit of three hours, I explained to family and family friends how to win at playing slot machines at that specific casino. How to win at Seminole Brighton Casino was found by listening, watching, and using my pattern recognition abilities. A potential winning strategy was first suspected, then tested to confirm its existence over the length of one visit to this casino. Make a maximum of 5 bets, then stop betting if any money whatsoever is won. Anyone visiting Seminole Brighton Casino is welcome to try and use this strategy. I’d be interested in any results, especially if you have before and after slots gambling win/loss data for that casino, which is more objective proof than subjective feelings. A week after my visit, Dave used some of my suggestions about winning on a single slot machine to turn his $70 original bankroll into over $800 in vouchers. Note how the time stamps show he won all those vouchers is about an hour. Too bad he had a prior commitment to go play bingo! Oh, well! Previous: Six Extras: Alexa Skill, Merch, Books, Emails, Hotline, Ask – Six small but important topics of interest have been collected over the last 5 months. These extras include now having an Alexa Skill as a podcast destination, “merch” for advertising, books, email subscriptions, and a voicemail hotline at 937-696-0086 to promote community and functionality for my Professor Slots business. Next: Keeping Gambling Records for Tax Preparation and More – Knowing what you’ve won and lost at slots is advantageous, so keeping gambling records is important for slots enthusiasts. This includes using gambling losses to possibly get a tax refund as well as being able to analyze your overall gambling performance over time. Caution: Can your gambling deductions be applied locally?